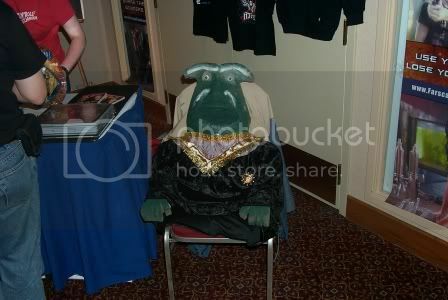 Farscape World • View topic - HUGE Thank You to the FWA! HUGE Thank You to the FWA! 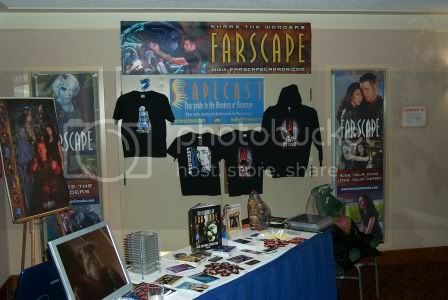 This thank you is long overdue, but now that I finally have a couple of pictures, I'd like to express Farscape Canada's sincerest thanks to the FWA for funding our beautiful new convention banners and Rygel stuffie. The full Canadian con kit made its debut this summer at conventions in Vancouver, Calgary, and Toronto, and it was the envy of many a fan group. Rygel was beating off the admirers. Best of all, he won't be biting any more customs officers! We really couldn't have done it without the FWA's financial support (and their much appreciated volunteer time), nor without all our fellow fans who have supported FWA fundraising endeavors, and we especially couldn't have done it without the amazing artistic talents of our banner designers mycattoldme and Kyntio. With honourable mention to Tom for his Rygel advice. THANK YOU GUYS SO MUCH! 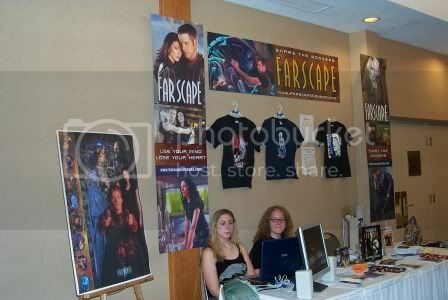 EVERYTHING YOU DO FOR FARSCAPE IS HUGELY APPRECIATED!